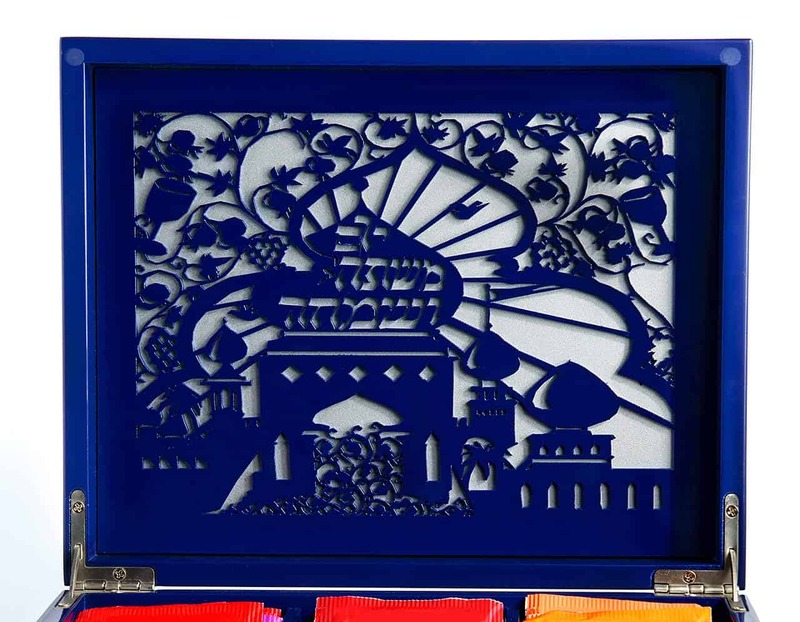 Open this beautiful blue lacquered box to reveal a stunning laser cut of the Shushan Palace by artist Sarah Kranz. 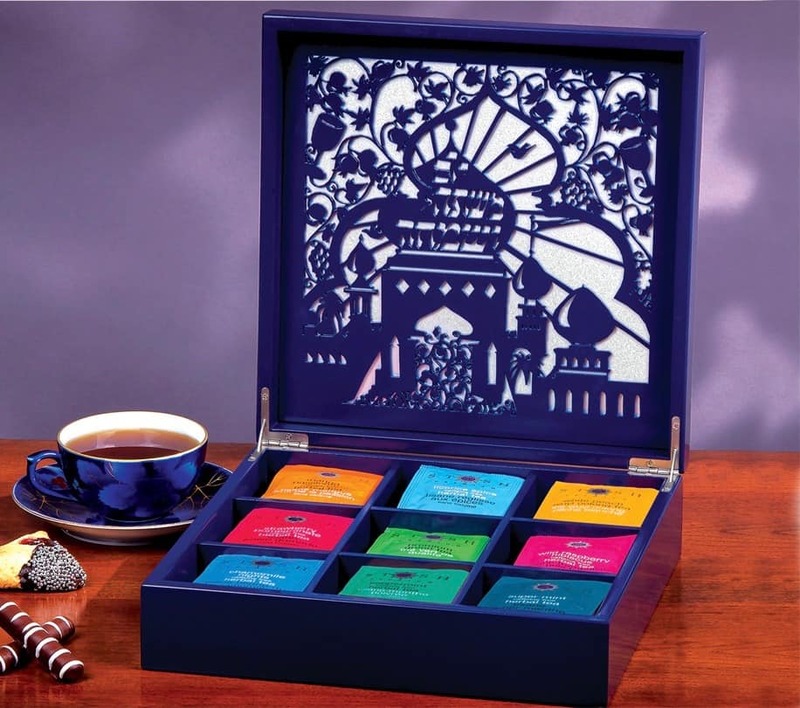 Our wooden tea box comes packed full with 2 chocolate-dipped coconut hamentaschen, Viennese chocolate bark, chocolate pistachio bark, and a flavorful selection of individual tea bags in Moroccan mint, lemon ginger, classic Earl Grey, pomegranate raspberry, double spice chai, and chamomile. 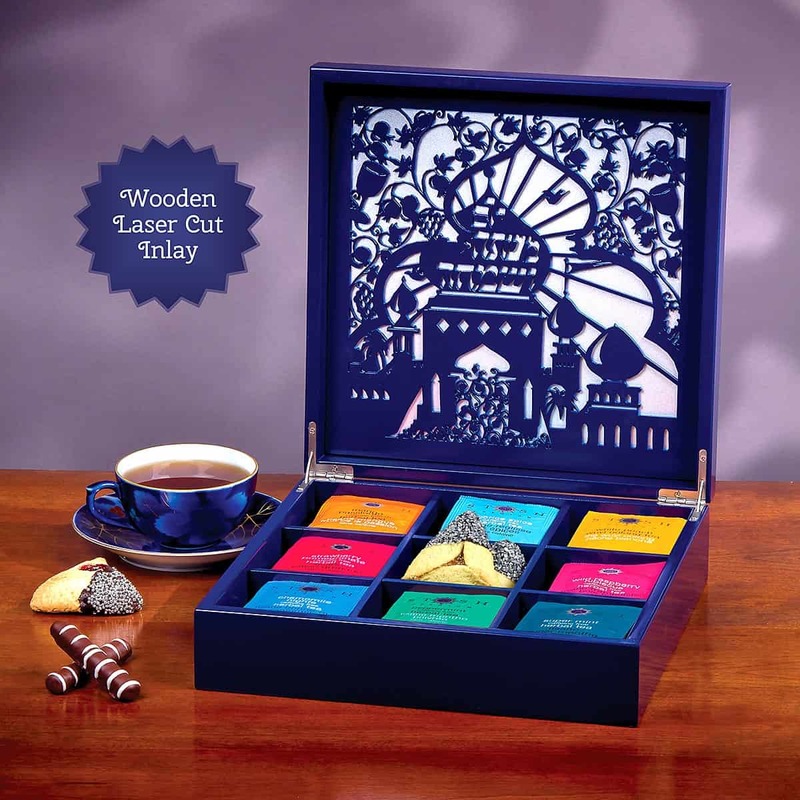 Wooden Laser Cut Tea Box measures 10″ x 10″ x 3″. All gifts are shipped close to the holiday. All contents are individually packaged for freshness.